﻿ Rituals : talismans, amulets, magick, rituals, empowerments, spells, powers, charms, etc. This ritual awakens cosmic power and strengthens the will. 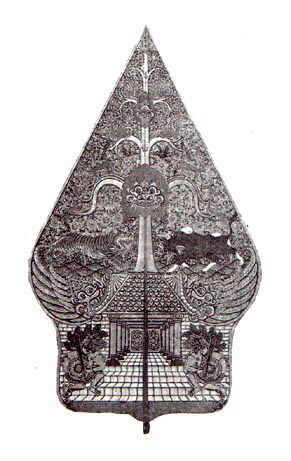 It originates from the Majapahit kingdom (circa 13-15th century AD). It is said that Gajah Mada, the revered Prime Minister of Majapahit during the reign of Hayam Wuruk, acquired powers from this ritual and made it possible for him to unite the kingdoms of Java into one single nation. Method: Begin fasting at dawn on a Thursday and continue this fast for a period of seven days. In this fast you are to eat nothing but plain white rice. No side dishes--nothing. You may eat three times daily as you will. Kinanthenan tekad teguh Kanti tekad sayeti Ingsun asesanti Ingsun madhep, mantep nedya amangun kekuwataning jiwa kalis ing sagung godha lan rubeda amrih bisa angayomi maring sesami sunaring cahaya kekuwataningsun senadyan lebur tanpa wekas wus bakal makarti lan wus makarti utawane tumpes tanpa tapis madhangi kang lagi mandang pepeteng Ingsun ora bakal gigrig mencorong sumilak tansah madhep mantep ing pangudi ndayani marang sapadha-padha marang gegayuhan margining warih wilujeng wilujeng wilujeng kuat kuat kuat. Repeat this chant for a total of 111x in each session. Ritual may be conducted on a routine basis. Each time that you require some extra moral strength while facing a problem recite the chant once. 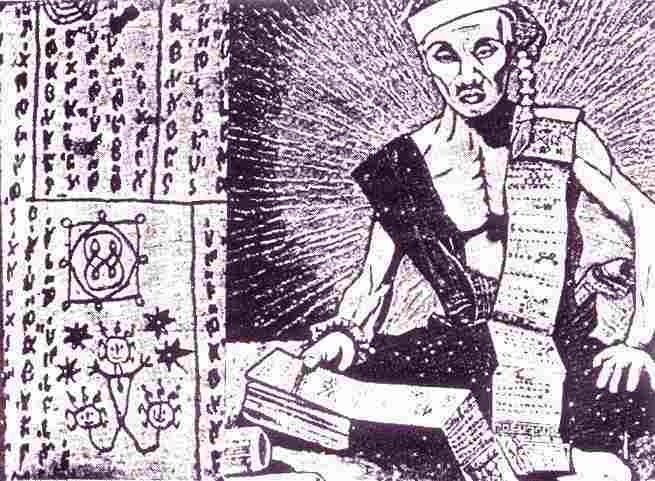 One of the many secret methods applied by local ritualists here in Indonesia to acquire a financial windfall through magickal means is one that comes from the book, "Sa'adatul Daroin," by Syekh Taqiyuddin Addimasyaqi. It is stated in the author's work that whosoever recites the prayer verse "Ismul a'dhoom" for one thousand times in a single day will be given something valuable in an occult manner. Certain pratitioners have observed that it may take more than a single-day's recitation, sometimes demanding seven successive days before results may be seen. The ritual recitation is to be done in the proper setting and with the holy observances of fast and holy wash.
Allaahumma innii as-aluka bis-mikal-a'dhomiil maktuubi min nuuri wajhikal-a'laal mu-a'bbadiddaa-imiil-baaqi, al-mukholladi fii qolbi nabiyyika wa rosuulika Muhammad. 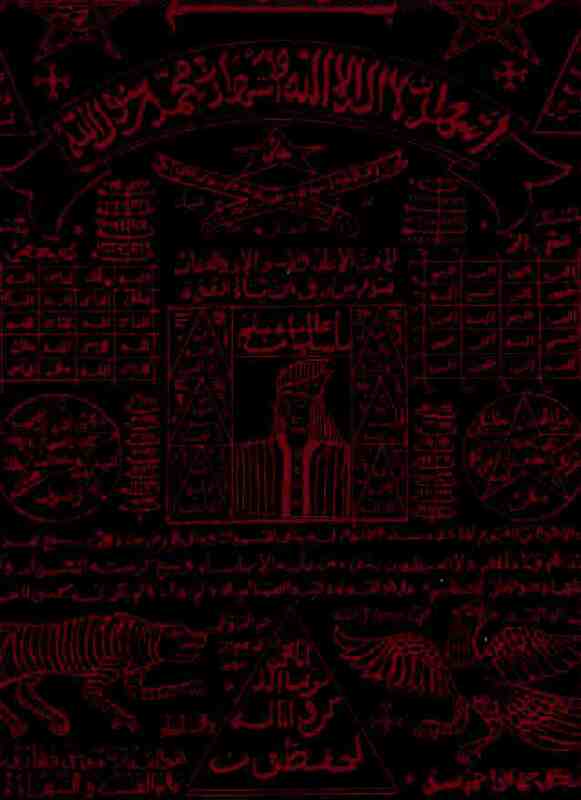 Wa as-aluka bismikal-a'dhomil waahidi biwahdatil-aahad, al-muta'aali 'an wahdatil-kammi wal a'adadil-muqoddasi 'an kulli ahad, wa bihaqqi, bismillahir-rohmaanir-rohiim, Qull huwallaahu ahad, allaahush-shomad, Lam yalid walam yuulad, Wa lam yakul-lahu kufuan ahad. An-tushollia 'alaa sayyidinaa Muhammadin sirri hayaatil wujuudi wassababil 'a-dhoomi likulli maujuudi sholaatan tusyabbitu fii qolbiil-iimaana watuhaffidhuuniil qur-aana watufahhimunii minhul 'aayaati wataftahulii bihaa nuuroo jannaati wanuuroon-na 'iimi wanuuroon-nadhori ilaa wajhikal kariim. Wa a'laa aalihi washohbihii wasallim wal hamdulillaahirobbil 'aa-lamiin. Those that have carried-out the prayers have stated that they recitated for three days before there were results. Some required a little longer period. There have been cases where a single day-recitation was sufficient to cause an almost instant manifestation; however, this is rare and is dependent upon a person's sincerity, good karma, motive, magickal energy, spiritual attunement, purity, etc. In the prayer we request divine assistance from Allah. When successful, sometime after we will be approached by a holy being magickally manifested. Without requesting anything from this individual he will give us something valuable that may be sold for cash. The angelic being will appear to us in our physical plane whether it be morning, afternoon, or night. We will interact physically and clairvoyance or other paranormal powers are not required to see or communicate with it. It is advised that whatever is recieved always remember to tithe, otherwise, one's financial gain would be reversed. 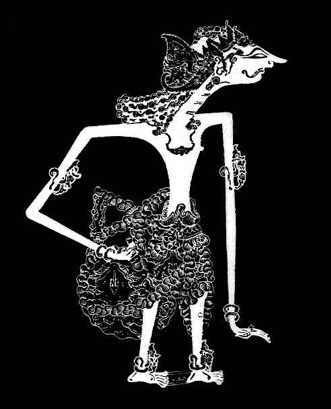 A representation of Semar, the spiritual guardian of Indonesia. Sometimes symbolizing the highest aspect of the microcosm. He is characterized as short, physically deformed, but spiritually wise and displaying the positive feminine aspects of the spirit such as compassion, love, understanding, etc. 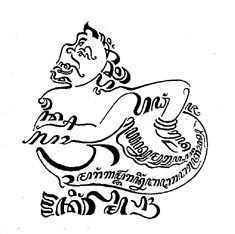 A Javanese calligraphic representation of Semar. Called "Gunungan," or "Mountain," this symbol is waved about at the opening of every "wayang kulit" or "shadow-puppet"play of the Kejawenese tradition. 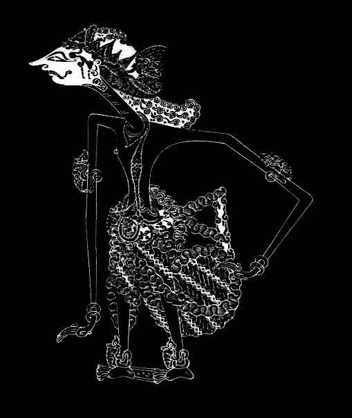 These wayang kulit shows are moral-spiritual stories based mostly on the Hindu epics, the Ramayana and the Mahabharata. 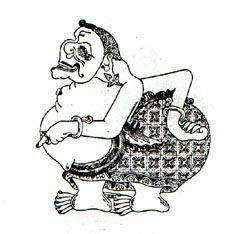 The Gunungan symbolizes the macrocosmos and the spirit foundation of matter. The central figure is the "Pohon Kahuripan," or the Javanese "Tree of Life" which strangely resembles its Qabalistic cousin. The tree is supported by wings which signifies its mystical, transcendent nature.